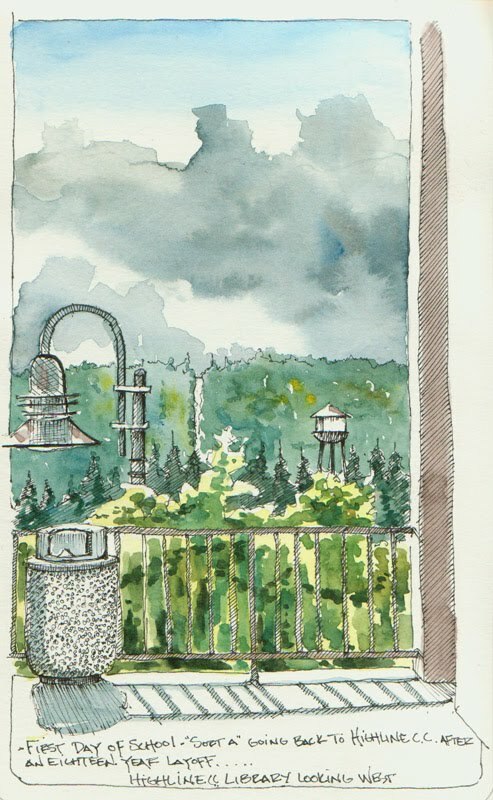 This was done on the Highline campus, looking west to Vashon. 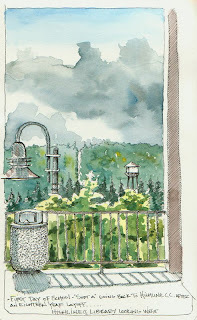 Pen and ink with watercolor in a Moleskine. Mark, why do I suspect that you haven't changed very much! I like your picture, especially the distant trees.